Long Beach city officials are looking to two nearby cities — Burbank and Santa Monica — for clues about how to expand affordable, quality Internet access to local residents and businesses. Both cities created their own fiber networks by laying out miles of fiber that now connect all of their municipal facilities to central data hubs. The cities now are able to sell their unused fiber to companies that need dedicated lines, faster Internet or more capability — turning their networks into money-making entities. Santa Monica generates $2 million a year, while Burbank generates $3.7 million a year — all while connecting more residents and businesses to better, cheaper Internet service. In fact, both cities have managed to make Internet free to some, and have attracted high-profile businesses. John Keisler, Long Beach’s director of economic and property development likes the sound of that. In fact, he has toured Burbank — where nearly two dozen schools are wired to the city fiber — in hopes of making something similar happen here. The pending release of Long Beach’s Fiber Master Plan, which addresses the city’s present and future Internet needs, could move the needle toward connecting more Long Beach residents to the Internet. Burbank’s path toward connectivity began as a utility project in 1986, when the city began replacing its old copper communications circuits with fiber. “We’ve been very opportunistic here in the One Burbank program,” said Daniel Lippert, manager of telecommunications for One Burbank, a high-speed fiber optics network managed by Burbank Water and Power (BWP). By the mid 1990s, BWP began leasing its excess fiber to several movie studios and other businesses in town that needed fiber assets but didn’t want to spend the money to build them. Then, in late 2010, BWP started selling premium Internet services to business customers. Today, One Burbank has 150 customers signed up for its services. Last year, it generated about $3.7 million in revenue and is projected to make more than $4 million in the next couple of years, Lippert said. Media, entertainment and production companies that need enough capacity to send large data files to movie studios have flocked to One Burbank for its services, Lippert said. The Internet enterprise also has enabled BWP to provide services to city buildings, libraries, the courthouse and, most recently, to the Burbank Unified School District. The city was able to lay out fiber to schools several years ago while building out its recycled water program to conserve during times of drought. The project involved transitioning major landscaping sites such as school fields from a potable water system into a recycled water system. The school district saw its Internet speeds jump from 10 megabits at the elementary level and 100 megabits at the secondary level to a whopping 10 gigabits, which is 300 times faster than the nation’s average download speed and 1,000 times faster than its average upload speed. “This allows more students to access computers at the same time and, in a learning environment where teachers are using more video and digital curriculum, this improvement creates a richer toolset for teachers to use in the classroom,” District Superintendent Matt Hill said. To date, Burbank has over 130 miles of fiber that connect to nearly all of the city’s facilities. The city is currently building out to some of its facilities up in the Verdugo mountains that have not been reached yet, Lippert said. BWP is also offering citywide connectivity in another way: free wi-fi through its smart utility meters. More than a year ago, BWP built a radio system for its smart meters, which are read every 15 minutes for a few milliseconds. The city decided to activate the wi-fi that operates the radio system and open it up to the public at no charge. While the wi-fi is not the highest quality, it is better than nothing, Lippert said. Twenty years ago, the City of Santa Monica created its own fiber network to eliminate leased lines from private providers. City officials created the Telecommunications Master Plan, a strategy driven by a “Dig Once” policy for timing fiber installations with anticipated utility projects, saving on dredging costs and ensuring fiber for future use. 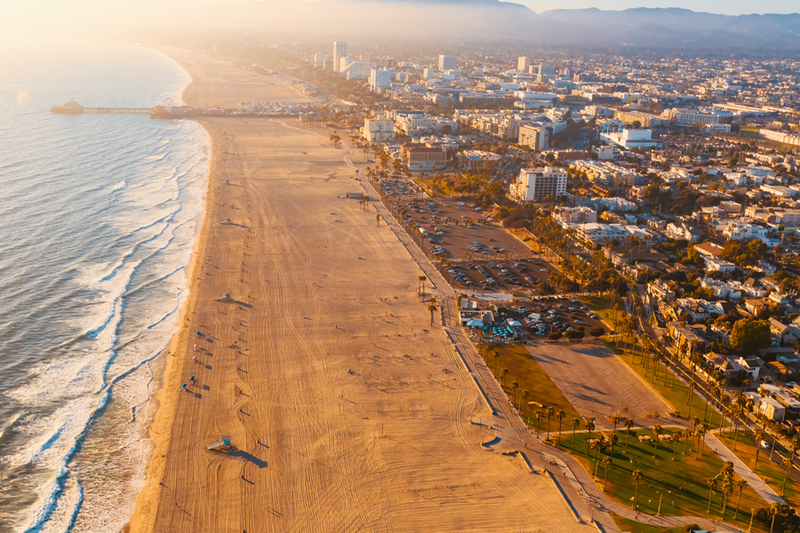 The city used an initial $530,000 it saved from connecting its facilities to expand its fiber network incrementally, as well as Santa Monica-Malibu Unified School District and Santa Monica College. This approach saved Santa Monica about $700,000 annually, according to Carter. In 2006, the city began leasing dark fiber – strands of unused fiber on a conduit – to Santa Monica businesses.. Its first dark fiber customer was Google. Four years later, city officials launched a 10-gigabit-per-second fiber optic network, linking Santa Monica businesses to over 160 Internet service providers in Los Angeles data centers. Businesses were soon paying a third of what they had been paying to private providers for 10 times the Internet speed, Carter said. “We went from being a backup option that sounded too good to be true, to being a primary service provider for 95 percent of tech companies here,” Carter said. CityNet, which generates about $2 million in annual revenue, is expanding its network to residential areas. Two years ago, the city used CityNet revenue to provide high speed Internet at 10 affordable housing buildings. Each building has a community room where residents can use fast Internet for free. “They literally have the fastest Internet in the world for free in those community rooms,” Carter said. Residents there can also have a gigabit-per-second connection in their own unit for as low as $48. City officials recently received grant funding to expand its fiber reach to 30 more affordable housing buildings and are in the process of putting in fiber to those buildings. When completed, Santa Monica will have provided high speed access to 40 percent of its affordable housing buildings.